You are never short of day trip options when you make Carcassonne your base. You will find Lagrasse in between Carcassonne and Narbonne. Its roughly a forty minute drive in your cheap Carcassone Airport car rental. 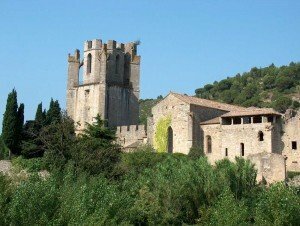 The village of Lagrasse is well known for its abbey as well as its beautiful streets and houses. It a lovely little place to relax and take in during the summer months with fairs and markets a regular theme. One of the highlights of the village is the hump backed bridge which dates back to the twelfth century. There are some delightful local restaurants serving good food. The name of the abbey is St Marie d’Orbieu. It was formally one of the most important abbeys in the country with its location not far from Spain. It served as an important centre for political and religious decisions. The tower has two hundred and thirty steps to climb but its well worth it for the view you will be presented with when you reach the top. You can also pick up some nice items at the gift shop. Swimming as well as fishing are popular pastimes in Lagrasse.